Gold for April delivery advanced $10.30 to settle at $1,322.60 an ounce on the Comex division of the New York Mercantile Exchange. The settlement was the highest since Feb. 26. "The dollar has been a bit weaker along with equities. A lot of macro numbers we have been getting have been deteriorating sharply. Central banks, which are already dovish, will be more dovish, which is good for gold," Reuters quoted INTL FCStone analyst Edward Meir. 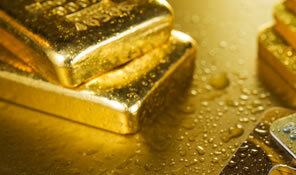 Gold futures ranged from a low of $1,310.60 to a high of $1,322.90. They gained 0.7% last week. Silver for May delivery rose 16 cents, or 1%, to close at $15.567 an ounce. The finish was the highest since Feb 28. Silver futures traded between $15.38 and $15.59. They climbed last week by 0.5%. April platinum added $9.30, or 1.1%, to $857.70 an ounce, ranging from $841.30 to $860.70. Palladium for June delivery gained $27.90 to $1,543.40 an ounce, trading between $1,501.30 and $1,574.90. The pair divided last week. Platinum jumped 2% and palladium dipped 0.2%. Gold added $8.25, or 0.6%, to $1,319.55 an ounce. Silver added 6.5 cents, or 0.4%, to $15.525 an ounce. In LBMA results last week, palladium shed 0.1% while the others logged gains of 0.6% for gold, 0.7% for silver, and 2.6% for platinum.